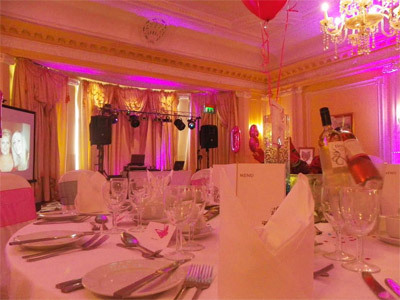 Imperial Hotel - Hall Hire in Torquay TQ1 - Social Events Weddings Family Parties Function Room. Mobile disco DJ photo booth quotes. 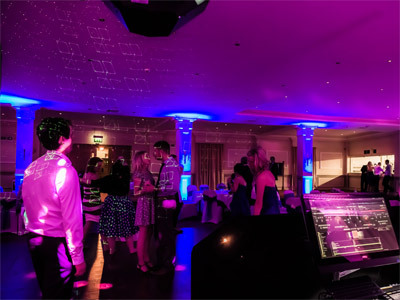 These respected DJs all have great reviews and are ready and waiting to help your party at Imperial Hotel, Torquay go with a bang! | Get FREE quotes NOW! The Imperial is the most famous hotel in Torquay. Situated atop a cliff overlooking unforgettable views across the coastline and surrounded by 5 acres of sub tropical gardens. 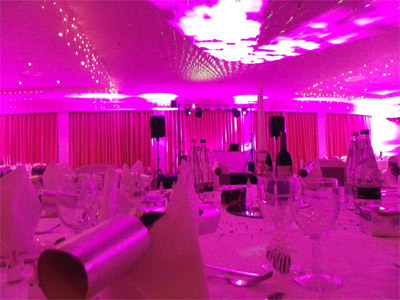 The Torbay Suite is the largest available function room at this hotel and caters for up to 350 for an evening reception or prom. It has a large balcony overlooking the sweep of Torbay, with comfortable seating and the facility to host a BBQ or hog roast in the evening or a live band in the afternoon which can be very pleasant. A nice airy suite with high ceilings and pillars. The staff here are always willing to help and the food & service are exactly what you would expect from a top 4-star hotel. 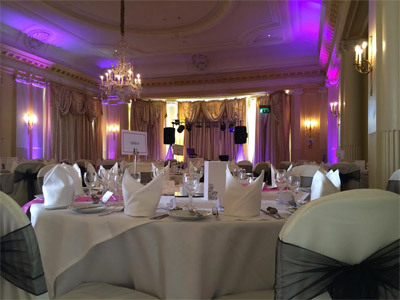 The Regency suite is the second biggest at the hotel great for weddings and other parties - beautifully decorated and with lots of mirrors around the room it looks fabulous. There is a bar in the adjoining room and a stunning sun lounge with awesome views across Torbay. 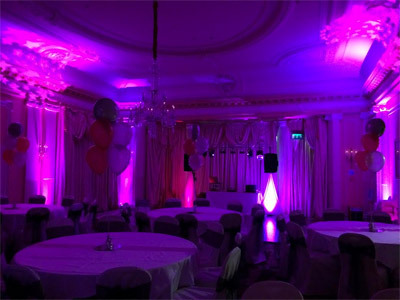 The following DJs and discos all cover the Torquay area and are suggested by needadisco.com for events at Imperial Hotel. The following pictures were uploaded by DJs following events at Imperial Hotel.